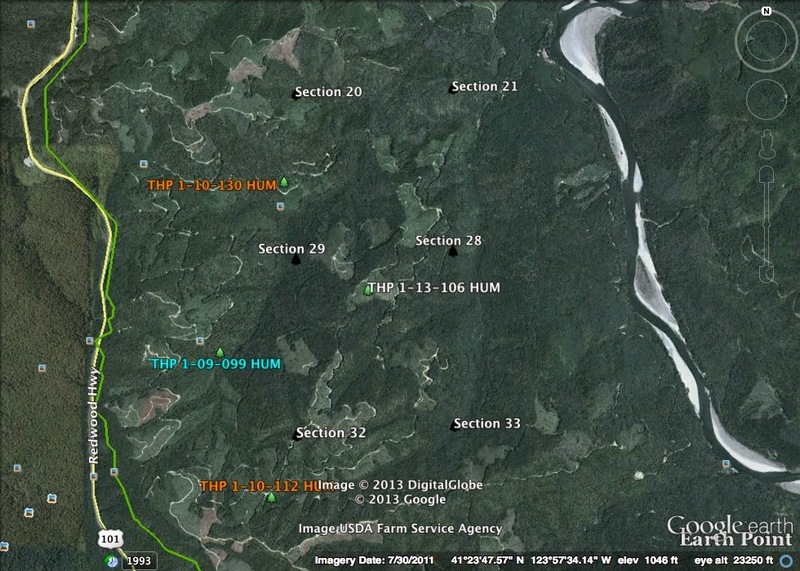 THPBlog: Green Diamond Resource Company to clearcut on steep and unstable slopes near Orick. 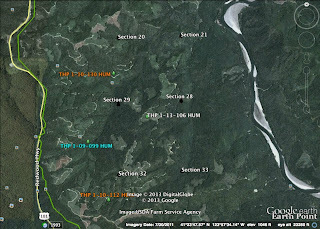 Green Diamond Resource Company to clearcut on steep and unstable slopes near Orick. This THP is about 9.5 miles north of Orick, CA and just to the east of Highway 101 and Redwood National Park at an elevation of 400 to 1,200 feet. Green Diamond Resource Company is planning a mostly clearcut feller buncher, shovel and cable logging operation on steep and unstable slopes in Douglas fir and redwood forests. The THP area flows down Ah Pah Creek into the Klamath River which contains steelhead, coastal cutthroat trout, coho and chinook salmon. There are multiple landslide terrain features including older skid trail failures in unit A, several stream related unstable areas within a class II watercourse in unit B, and 3 unstable areas related to road failures in unit C. Northern spotted owls were reported to be within .25 mi of unit D, and .5 mi of units A,B,C; and 3 bald eagle territories were reported to be within 1 mi, 1.2 mi and 1.4 mi of the THP area. More information is available on the THP Tracking Center website.